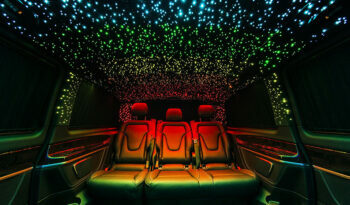 Mercedes V-class keeps pace with the times. It has an elegant and sophisticated design that will best emphasize the character and status of its owner in society. This car will look great in a busy city traffic, and on highways. Salon is a realm of exclusive finishing materials, verified ergonomics, practicality and uncompromising comfort. Even a long-distance long-distance trip will not be able to deliver even the slightest inconvenience. The manufacturer is well aware that in the first place, cars of this class should give pleasure to drive. That is why the minivan is equipped with an excellent line of units, which are a fusion of time-tested technologies and legendary German quality. 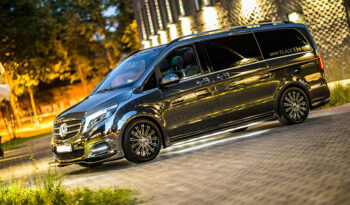 V-class second generation is perfect for both personal and commercial use. 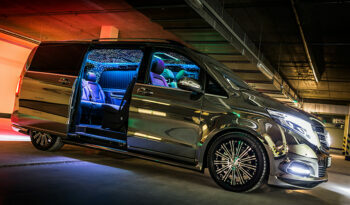 The all-new Mercedes-Benz V-Class appeared in 2015 at the International Spring Geneva Motor Show. The car received a corporate design, currently relevant, the key. The rounded headlamps with lens optics and “cilia” from the strings of LED daytime running lights catch the eye.